Written on October 5, 2012 . Posted in Liberal Arts. 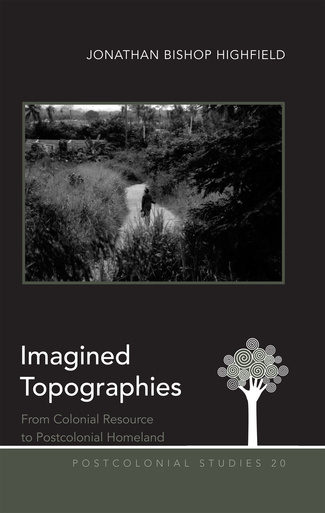 International academic publisher Peter Lang has published Jonathan Highfield’s (Professor, Literary Arts + Studies) new book “Imagined Topographies: From Colonial Resource to Postcolonial Homeland”. One important legacy of colonialism is the separation of a culture from the land upon which its people live. Populations are displaced; topographical objects are renamed, and the land becomes a resource to be exploited. Starting with three landscapes viewed as threatening by the Europeans who colonized them, Imagined Topographies examines the ways artists, writers, and musicians distill new meaning in formerly colonized spaces through the articulation of landscapes that are homelands, not commodities. In the Irish bog Seamus Heaney explores legacies of violence, John Dunne looks at rural poverty and religious faith, and Catherine Harper creates art connecting landscape and gender. Influenced by the Amazon, Wilson Harris creates dense multi-layered Guyanese epics, Karen Tei Yamashita plays with the telenovela to explore the role of multinational corporations in deforestation, and in recordings Douglas Quin combines the natural world with the technological, raisingquestions of connected cultural and natural loss. The two landscapes of Australia, the empty land of the colonizers and the fertile land knownby the original inhabitants, are explored in the novels of David Malouf, while Peter Carey turns to the animal world to define the Australian national character, and the people of Ramingining, in films and a website created in collaboration with the filmmaker Rolf de Heer, intervene in the Australian land rights struggle. Challenging the dominant perceptions of land in these regions, artists, musicians, and writers create new visions of landscapes tied to cultures where social and ecological justice offer choices other than emigration and habitat destruction.